A judge has put Bernard Madoff under 24-hour home detention and ordered the disgraced investor to hire a security firm to protect him. The judge made the decision Friday as part of new conditions of Madoff's bail. The order requires Madoff to hire around-the-clock security guards who will protect the disgraced investor "from harm or flight." Madoff has also been ordered to provide a written list by the end of the year of his assets and liabilities, a key step in finding what is left for investors after authorities said Madoff admitted squandering at least $50 billion. U.S. District Judge Louis L. Stanton signed an order late Thursday requiring the 70-year-old Madoff to provide a verified accounting of all his assets, liabilities and property to the Securities and Exchange Commission. The directive was contained in an order that continues a freeze of Madoff's assets, a directive put in place a week ago after authorities first filed charges against the former Nasdaq stock market chairman. 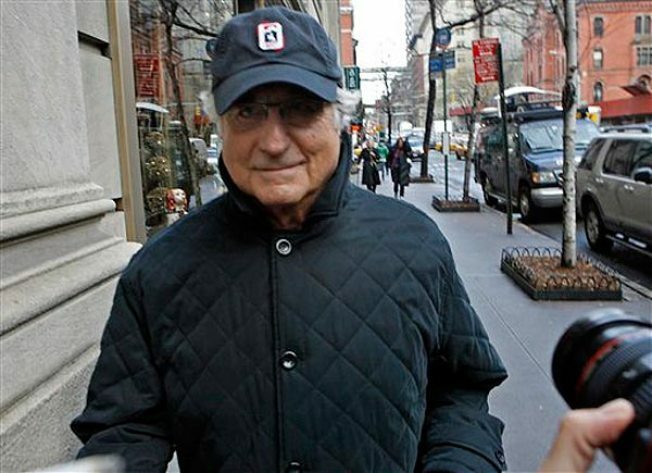 A message for comment left with Madoff's lawyer was not immediately returned Friday. The court filing was made as investigators spent another day trying to untangle Madoff's operation. Investigators have started serving grand jury subpoenas requiring witnesses to testify and seeking documents, according to an official familiar with the case. The official, who spoke on condition of anonymity because the investigation is ongoing, declined to identify who was served or specify what documents were wanted. Madoff was subjected to electronic monitoring and a nighttime curfew earlier this week as angry investors who lost billions seek information about what happened to money they thought was safely invested with someone who was widely respected on Wall Street for nearly half a century. The judge's order, agreed to by Madoff, demanded details of all assets, funds or property held by Madoff and the names and locations of entities, bank accounts, brokerage accounts, investments or assets held by his business, Bernard L. Madoff Investment Securities LLC. The order also puts control of all of his artwork, property, cars, jewelry and other items in the hands of a court-appointed receiver. It also requires that the receiver, lawyer Lee Richards, prevent the disposal of any of the assets of Madoff Securities International Limited and determine to what extent funds were comingled between Madoff's U.S. operations and any businesses overseas. The order directed the receiver to locate any assets that may have been transferred to third parties or concealed by foreign entities. Stanton said the receiver must report to the court by Jan. 26 on the status of the foreign business and provide a list of customers and clients, including the amounts received by Madoff from each customer and the amounts withdrawn by them. A temporary order freezing Madoff's assets was signed last week, but the new order extends the protection of assets, sets deadlines, and provides more details on the responsibilities of Madoff and the receiver. Madoff and his family essentially turned him in to authorities last week, blowing the whistle on what authorities said he confessed was a "giant Ponzi scheme." Authorities say Madoff confessed to family members that he had for years been paying returns to certain investors out of the principal received from others until he had only $200 million to $300 million remaining. The charge against Madoff carries a potential penalty of up to 20 years in prison. Other charges could be added as the case is presented to a grand jury.